First there was Android. Then there was Android Wear. Now, Google's building a platform that lives in your clothes, and it starts with Project Jacquard. 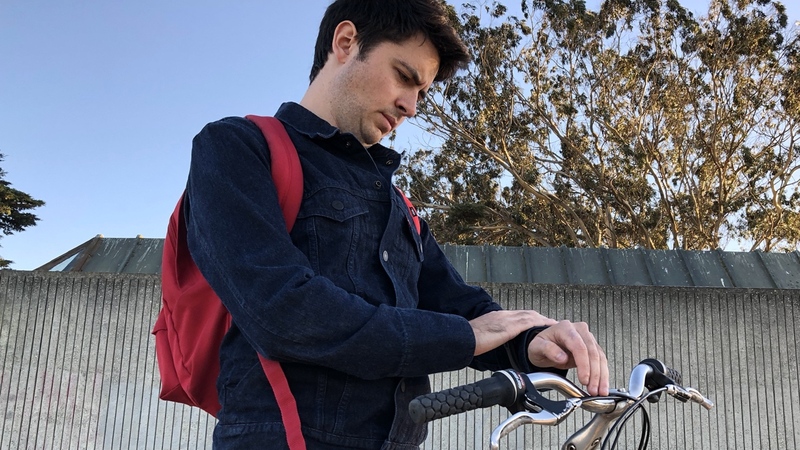 Jacquard, a connected version of Levi's Commuter Trucker jacket, was an idea born out of Google ATAP (Advanced Technology and Projects), the skunkworks division originally belonging to Motorola that's also responsible for Project Tango. Levi's took one of its existing, popular Commuter denim jackets and literally wove Google's technology into the fabric. This allows you to interact with your phone via the jacket by performing different touch patterns on the cuff. It's pretty neat. It's a damn good looking jacket too, but it's also another bit of smart clothing, a category of wearables that's sitting a bit awkwardly right now. So does Jacquard push things forward, or merely underline the problem? I've been spending a few weeks getting to know Jacquard, on foot and on bike. Here's what I found out. With the Levi's name proudly stamped on, there should be no doubt over the quality of clothing you're getting, but let me allay any doubts: this is one very nice jacket. That's because all but a small portion of this is Levi's Commuter Trucker jacket in its unaltered form. The Commuter Jacket, as its name suggests, is made with bicycle-riding city dwellers in mind. It's a nice fit too with a lot of flexibility in the arms and shoulders. Jacquard comes in men's and women's sizes; I've been wearing the medium, which fits perfectly when open, though is a bit too tight to keep done up when cycling. However it does feel like it's designed to be worn open most of the time. Above all, it really just feels like you're wearing a very well made, high-end Levi's jacket. There is one caveat: the smart cuff. This is where Levi's has cleverly woven in the conductive threads, but it forms a flat surface that's more rigid than the rest of the sleeve, something you do notice when moving your arms around. It also sticks out a little, one of only two giveaways that there's any technology here at all. The other is the Bluetooth tag that clips into the cuff. This is what transmits the information from the cuff to to your phone, and vice versa, but is also its ugliest feature. This tag needs to be kept charged up, and should you wash the jacket you'll need to take it off first. Ah yes, the washing. The was a minor internet storm when people discovered that the jacket can only be washed a maximum of ten times in its lifetime. I do understand that this makes it seem... a little delicate, but I can't imagine you'd need to wash this regularly unless you're often cycling in places where it's likely to absorb smells. In his "Dirty Jeans Manifesto" Levi's CEO Chip Bergh said he'd never washed his jeans, and believes that's the best way of maintaining quality. Maybe you don't need to go that far, but those ten washes should be far between. All of Jacquard's smarts happen in the sleeve, specifically the left-hand cuff, which works as a touchpad to communicate with the phone. But to get that working you'll need to pair Jacquard with your smartphone; it works with iOS and Android, and both get the exact same experience. Once paired through the Jacquard app you can start assigning your interactions to three different gestures: brush in, brush out and a double tap. Right now this list of commands is quite limited and centered mostly around music and navigation. You could set it up so a forward swipe of the cuff skips to the next track, while a double tap tells you the name of the song playing and keeps note of it in the app. Or an inwards swipe could tell you how far until your destination (you'll need to set that in the app) or the next set of directions for getting there. There's also a counter for keeping track of, well, whatever the hell you like, and a voice to tell you the time. You can also make the LED on the cuff tag illuminate when you have notifications, but no sounds come from the jacket itself; everything you hear will be either from the speaker on your phone, which can be placed in the breast pocket, or through connected headphones. And that's about it – yeah, it's pretty limited. As for how useful any of these are in application, that will largely depend on you. Are you someone who uses their smartwatch a lot for controlling music playback? You'll probably find Jacquard's interactions faster and easier. I tend to pull out my phone when skipping through tracks, and Jacquard hasn't managed to replace this process when walking around, but by bike I have found myself using the cuff a lot more. Unlike barking at a smart assistant the cuff is pretty reliable, and less dangerous than tapping my wrist. When cycling I also found myself using the destination feature, which gives you your ETA. The turn-by-turn directions are fine if you're in familiar territory, otherwise you might have to pull over and get that phone out. But while I did get these small glimmers of usefulness, Jacquard just doesn't do enough yet. $350 might not be ludicrously expensive in the market of high-end denim jackets, but when you can go out and buy Levi's non-smart equivalent for $200 less, you start weighing up the value of this added technology. When I spoke to Ivan Poupyrev, the lead brain behind Jacquard, he told me there's a long list of extra features he wants to add. The team also want to add more features based on user feedback. Maybe there's a use for that cuff it hasn't even thought of yet – let Google know. The companion Jacquard app is nice and straightforward. Once you select the gesture you want to edit you'll see the library of applets divided into Audio, Navigation and Keeping Track, and you assign them by simply dragging them into the slot. You can customise the light and haptics too, so the jacket will ping you when select contacts (up to three at a time) are trying to get hold of you. I like this feature as it folds nicely into Jacquard's goal of keeping you from your smartphone; you'll only get an alert when it's from someone you really want to hear from. You can answer calls with the touchpad too: brush in to accept and out to decline. This one is especially handy when you're on a bike as you can answer a call through your headphones without taking your eyes off the road. As for battery life, you'll only need to charge that tag up once every couple of weeks. It slots straight into the USB and charges up nice and fast too. Only once did I get caught short and had to ask my colleague if I could borrow a USB port because "I need to charge my jacket". I then took a moment to reflect on the words that had just come out of my mouth. To date the most useful smart clothing we've seen has honed in on health and fitness, but Jacquard doesn't do any of that. It's more of a replacement for a smartwatch if anything, and I do think cyclists will appreciate this the most. For me, it was when I got on a bike that the smarts disappeared into the background and Jacquard made a bit more sense, keeping my eyes on the road and off my phone. It doesn't do a lot, but for the things it does do, it works well. Poupyrev told me that Google wants to build a platform here with other types of clothing and other brands, and despite Jacquard's limitations I really hope this collaboration continues. I applaud Levi's and Google for what they've made here. Jacquard is a perfect example of what smart clothing should look like, even feel like, but for Google's next trick it needs to show us more of what it can do. A gorgeous jacket with limited features, Jacquard does a few things really well but leaves us hankering for more. Cyclists will appreciate it most, but at $200 more than its Google-less version, it's too high an asking price for what it can perform. But Google promises more features are yet to come, and in a few months time, who knows, perhaps this will evolve into something more impressive – along with the other garments Google has in the pipeline.